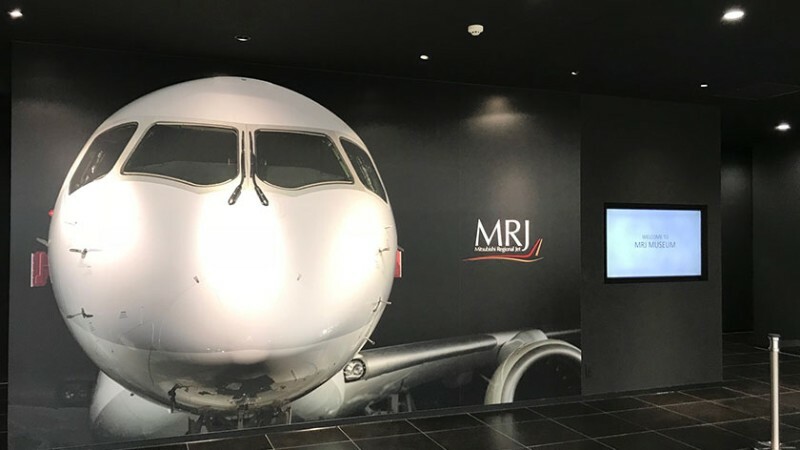 The MRJ Museum opened in 2017 near Nagoya Airport and is one of three airplane facilities in the world that offer factory tours. Once on the property, the tour is completely wheelchair accessible. 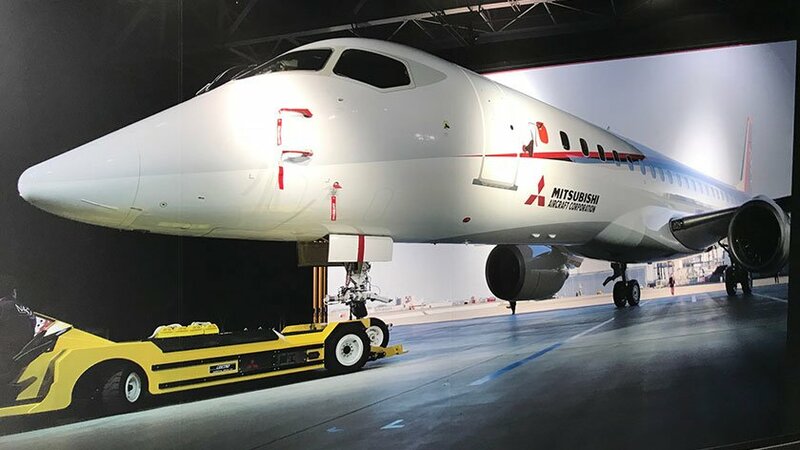 The museum is located on the property of Mitsubishi Heavy Industries where they are currently ramping up production to 10 MRJ (Mitsubishi Regional Jet) planes per month. The highlight of the tour is a visit to the large assembly factory to see up to 12 planes in various stages of completion. In other parts of the guided tour you will get to enter a mock-up plane and learn everything from design to production logistics through various interactive displays. The tour requires a reservation through the MRJ website so you must plan and pay in advance. 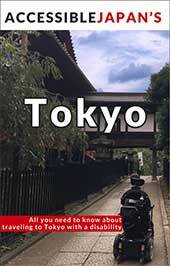 There are tours offered in English as well as Japanese. 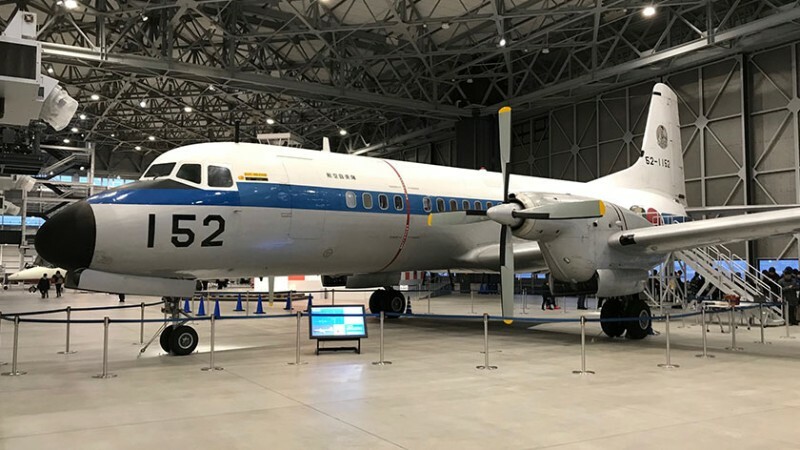 The MRJ Museum can be accessed by the Meitetsu Bus line going from Nagoya Station Meitetsu Bus Center to the Aichi Museum of Flight (via Sakae Area). The bus ride is about 40 minutes. There is an Aoi Kotsu bus going between the airport and Nagoya Station, however the bus requires wheelchairs to be folded and stored in the undercarriage and riders to climb stairs to the seating – so it is only accessible to those who can climb stairs. The meeting place for most visitors is a five minute bus ride away from the MRJ Museum at the Aichi Museum of Flight (which is entirely separate from MRJ). Unfortunately, the shuttle bus is not accessible. Those arriving by public transit will need to wheel themselves to the MHI Main Gate. While not an an impossible distance, it is not exactly very convenient either. 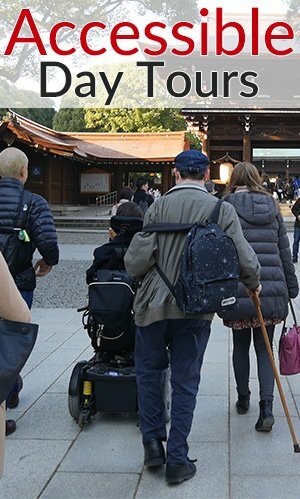 For those visiting by accessible taxi, if you indicate in your reservation that you use a wheelchair and can not ride the shuttle bus, the staff will make arrangements to allow you to be directly admitted to the Mitsubishi Heavy Industry property. This includes being met at the Mitsubishi Heavy Industries Main Gate and a parking spot near the entrance to the assembly factory. When a wheelchair user makes a reservation the museum seems to reduce the regular tour group size and will assign one staff member to accompany the wheelchair user throughout the tour. Some people might find this ‘omotenashi’ (hospitality, in Japanese) a little over the top, but it does help during a brief elevator ride that is separate from the main tour group and to give a hand if you have any special needs. There is an accessible toilet available at the beginning and end of the tour, but be prepared for the tour to last about an hour and a half. The tour itself is entirely accessible by wheelchair but does cover a fairly long route. There is a ramp up to the mock airplane and wheelchairs can roll right in to see the stylish interior. Further on in the tour everyone is lent an IPad and can sit on seats that twirl in order to view a video filmed in 360 degrees. In this case, wheelchair users can hold the IPad and spin around in their own. The final part of the tour is in the large factory to view the assembly process from the viewing walkway. It is recommended to visit on a weekday if you really want to see the factory in action, but you can still see several work-in-progress airplanes on factory floor on any given weekend. 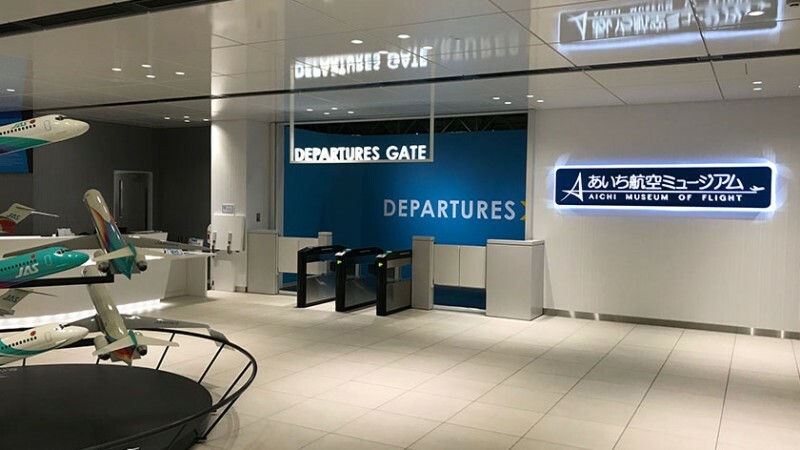 Overall MRJ has done a good job of making their Museum accessible, but the biggest problem that you might encounter is getting a reservation for this widely popular facility. Additionally, if you are interested in filling out your day with more aircraft-related experiences after MRJ you can also take in the newly opened Aichi Museum of Flight. Less than a kilometer from the MRJ Museum, this museum focuses on the history of the aircraft industry in Japan and has several aircraft on display in their hanger-like building built on the tarmac of the Nagoya Airport. Apart from a hundred or so 1:25 scale planes depicting almost every aircraft ever built in Japan, highlights include a 3D theatre and something that is called a ‘Flying Box’, which is a state of the art theatre with seats that move in sync with the movie. Although wheelchair users can enter the Flying Box to watch the movie in a dedicated wheelchair area, the effects aren’t as good unless you can transfer to the seats. There are also some aircraft that are open for visitors to board via a set of stairs, but unfortunately there are no ramps in place. Other areas of the museum are accessible and you can ride the elevator to the roof to go out on the airport viewing deck or you can stay inside and watch the planes taking off from the coffee shop. The Aichi Museum of Flight gets an accessible rating of about 80% for wheelchair users. For those who love airplanes the MRJ Museum at the Aichi Museum of Flight is a great way to explore the inner makings of Mitsubishi Regional Jet. It is a bit of a trek from the main Nagoya downtown, and a bit for from the nearest bus stop, but well worth the trip for those interested. 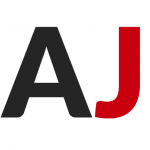 Leave your questions or comments about MRJ Museum and Aichi Museum of Flight here!